The transfer window closes on Friday at midnight meaning Ladbrokes Premiership clubs only have a few days to complete a lot of their business. Joel Sked looks at what is required at each club in terms of recruitment. It can be difficult to pinpoint exactly what the Dons require, simply because it is sometimes difficult to fathom what Derek McInnes is trying to do in terms of system, style of play and general identity. In the most recent draw with Hibernian McInnes flitted between systems with Graeme Shinnie playing as a full-back, a wing-back and a centre midfielder. It is certainly not the first time McInnes has tinkered, and it won’t be the last. Aberdeen finished the game with Shay Logan stationed at left-back. The team are generally more competitive when Shinnie is in the middle of the park so the glaring position which requires improvement is left-back, especially if that player falls into the modern day full-back category. Added creativity in the final third wouldn’t go amiss either. Last Friday Brendan Rodgers reiterated his desire for three or four new signings to be added to the Celtic team. However, one area of the pitch needs strengthening more than any others: Centre-back. It feels like this summer has been dominated by writing ‘Celtic’ followed by ‘centre-back’. Marvin Compper seems to have stumbled into an episode of HBO’s The Leftovers and is now one of the departed. Jozo Simunovic has been unreliable for the last 12 months, while Jack Hendry requires protection, ie dropped. The club always seem to be on the lookout for another Virgil van Dijk which is understandable but could do with a centre-back that offers guidance to the young defenders on the books. Another key addition is needed in the centre of midfield to replace Stuart Armstrong, having missed out on John McGinn. Need: Centre-back and direct midfielder. The season may be in its infancy but Dundee’s campaign has already been riddled with defensive errors and profligacy in front of goal with club rooted to the bottom of the league and having exited the Betfred Cup at home to Championship Ayr United. If the club had a reliable striker they could get away with a ‘we’ll score one more than the opposition’ approach. Except they don’t. Therefore it is imperative they have a reliable defence, namely a centre-back partnership. They don’t possess one of those either. Neil McCann should be scouring the market for a striker and centre-back. On top of that, with a handful of good options in the centre of midfield, they lack quality in the wide areas. At least one player who can stretch the play would be most welcome. The Accies went to Celtic Park with Mikel Miller and Steven Boyd leading the line. Martin Canning mentioned after the game he was looking at three players, one has to be a forward. Miller has started the season well but is raw and inconsistent, while his stamina is still an issue. Accies need someone to add to their attacking threat having witnessed Ali Crawford, Antonio Rojano and David Templeton all exit. The team as a whole is very young, with not a lot of football experience, let alone experience of the Scottish game. Accies seem to shop in an entirely different market to the rest of the top-flight but any sort of attacking inspiration would be most welcome. 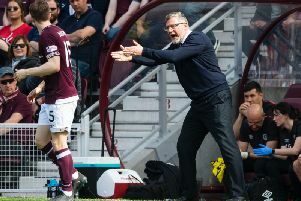 There has been quite the turnaround at Tynecastle with a number of the raft of new signings already making their mark but more still needs to be done. 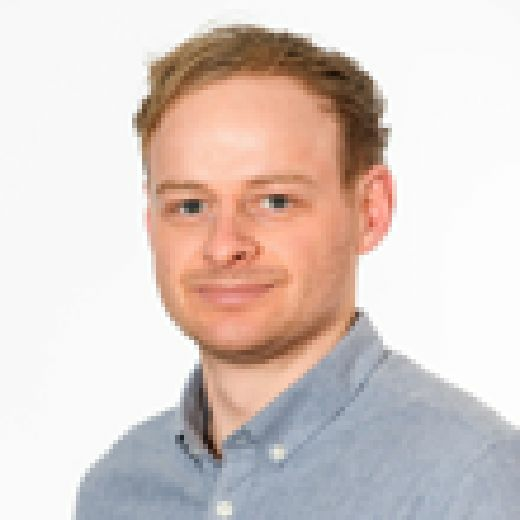 The team lack of real quality in wide areas should be alleviated by the signing of Demetri Mitchell, while the injury to Christophe Berra and sale of Kyle Lafferty pushed Hearts deeper into the transfer market. With Czech striker David Vanecek due in January, centre-back is perhaps a more pressing issue, especially as Berra’s absence leaves a huge hole in terms of a commanding presence, experience and standards. It is hard to select one specific position where Hibs are under-strength. A couple of weeks ago it was clear that the centre of midfield still needed improvement after the departures of John McGinn, Dylan McGeouch and Scott Allan. However, Emerson Hyndman, Mark Milligan and Daryl Horgan have joined Stephen Mallan in that department. Lennon has already moved Mallan deeper from his prefeered No.10 role and Horgan has impressed in his short-time at the club with his positivity and quick feet. Ahead of him Hibs have four really good options to play as a striker. It is perhaps defence where Lennon may look. Lewis Stevenson continues to prove himself more than capable as a left wing-back for a team challenging in the upper echelons of the league but he could be improved upon. With Darren McGregor dealing with injury issues another centre-back could be useful, although Milligan can play there. So far Killie have looked pretty flat going forward, especially when they transition into the final third. That’s an issue which is currently being solved. Greg Stewart has been added with former player Aaron Tshibola on the verge or returning. Tshibola could be the big signing with the current central midfield options very similar. He is someone who can take the ball and carry it, providing a link to those in attack and lessen the burden of Jordan Jones having to take the team up the pitch. The addition of those two will have Killie in a good place. Need: Dynamic, forward thinking midfielder. A defensive platform of Alan Lithgow, Craig Halkett and Declan Gallagher, with Shaun Byrne and Scott Pitman in midfield, is more than adequate for Livi’s Premiership campaign. They have added forward Dolly Menga, having seen midfielder Scott Robinson and 18-year-old Jack Hamilton lead the line in the 2-0 win over St Mirren, and on Tuesday signed Bobby Burns from Hearts who is capable in the centre of the pitch or at wing-back. These signings are for positions that required filling and gives Livi better balance. Any subsequent recruits simply have to be of better standard that is already there to lift Livingston in level but do so in keeping with the club’s identity. Bonus: Greater quality in wide and attacking areas. At one point this summer the Steelmen looked to have had their transfer business done and dusted. Then Charles Dunne was injured and Cedric Kipre sold to Wigan Athletic. When playing a back three, as Motherwell do, it’s imperative there is balance. At the moment there isn’t. Captain Peter Hartley and Tom Aldred are no nonsense, head everything and battle, while Carl McHugh is a better distributor. They lack pace and power, which Dunne and Kipre brought to the defence, plus the latter’s ability to carry the ball out from the back. Steven Gerrard, similar to Craig Levein at Hearts, had to undertake a complete rebuild at Ibrox. So far so good in terms of his recruitment, certainly much better than Pedro Caixinha’s 12 months ago. But there is still work to be done. Rangers only have two first-team centre-backs to choose from, which saw Jon Flanagan fill in at centre-back when they moved to a back three. Another central defender is a must before Friday. In attack Rangers looked relatively set when Kyle Lafferty was set to sign but Jamie Muprhy’s injury has robbed Gerrard of a key wide man. The club have turned their attention to Eros Grezda. If Gerrard was being greedy he would get a central playmaking figure who could play as a No.10, but with a number of players in the centre of the pitch it is not essential. After an ominous start to the season which saw the team surrender to Kilmarnock with an overly defensive 5-4-1 formation, there has been shoots of recovery for Tommy Wright’s men, picking up four points and reaching the quarter-final of the Betfred Cup. And the summer signings have played their part. Wright has managed to reduce the average age of his team by five years since season 2015/2016. There is pace on the wings and flexibility in attack. Murray Davidson’s injury against Dundee has been offset by the arrival of Tristan Nydam. One type of player they could use is a versatile attacker with Stefan Scougall not being used. A player who can operate on the flanks as a replacement for either Matty Kennedy or Drey Wright. Bonus: Greater depth in attack. Saints fans would like to go back to the start of the transfer window and start again. Alan Stubbs’ recruitment has been criticised with a number of players added who have played little first-team football. The mere mention of the likes of Jeff King, Cole Kpekawa and Cody Cooke are already drawing groans from Buddies supporters. Those who have watched the club’s three league games so far, plus games in the Betfred Cup, will wonder where goals will come from with the club having lost last season’s two top scorers. Need: Centre-back, wide players, striker.